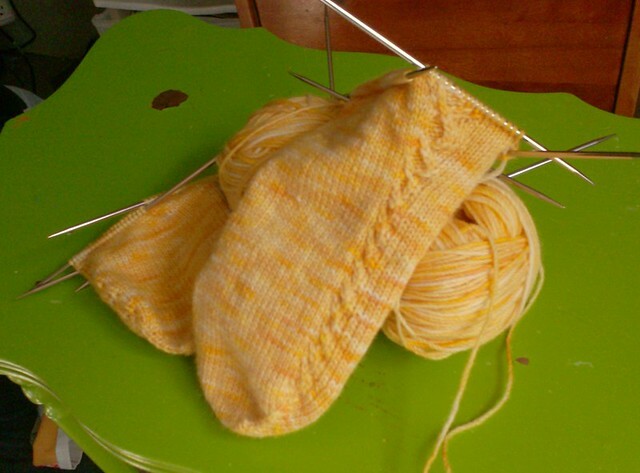 I'm a knitter, which is not necessarily a cheap hobby - people are always aghast when I tell them it costs me upwards of $15 for the yarn to knit a pair of socks! But I see it as a GREAT value - I get 20 hours or more of relaxing time that I really enjoy, and at the end of it, I get a pretty pair of socks that I can take pride in :) To me, I'm not paying $15 for a pair of socks. I'm paying dimes on the hour to entertain myself, and getting a free pair of socks out of it too! When you really enjoy a hobby, the time you spend on it becomes valuable. Think about it - if you're willing to spend $10 at the cinema to get two hours' (or less!) worth of entertainment, wouldn't it be an even better value to spend $15 to get a whole pair of socks' worth of entertainment? Many hobbies require tools and materials to be bought up-front, that provide for many hours of enjoyment afterwards. So, my yarn and needles can be thought of as an investment - The needles can be used for many projects to come, the yarn comes out to less than $1 for an hour of fun knitting time, and at the end I get a pair of perfectly-fitted, beautiful handknit socks that I would pay way more than $15 for in a store. After all, I knit them to exactly my own specifications!